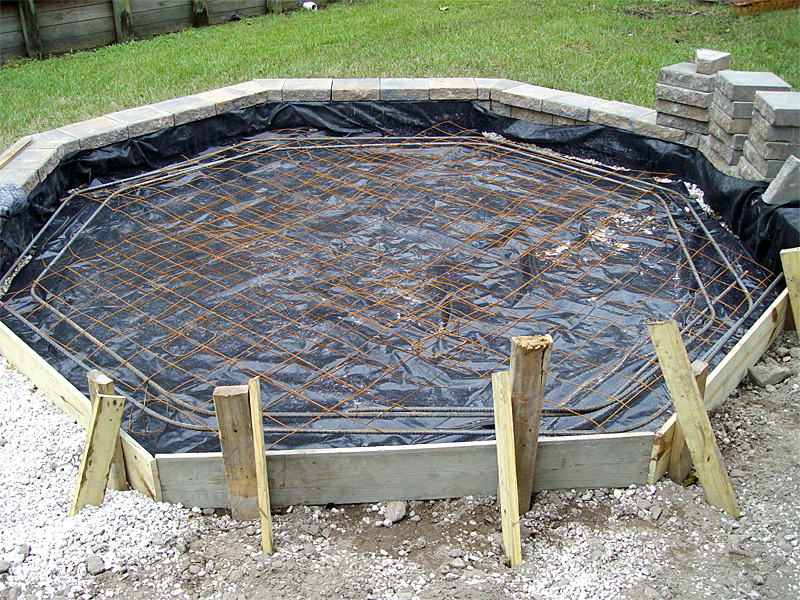 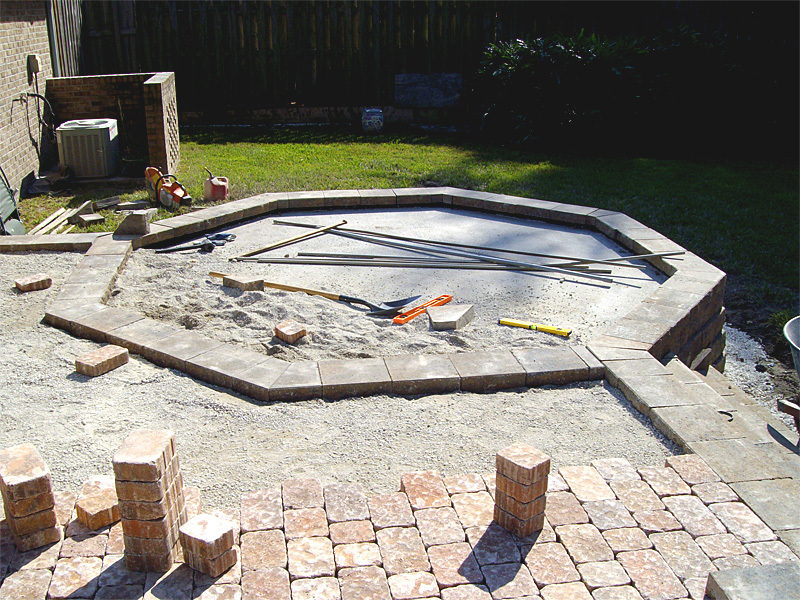 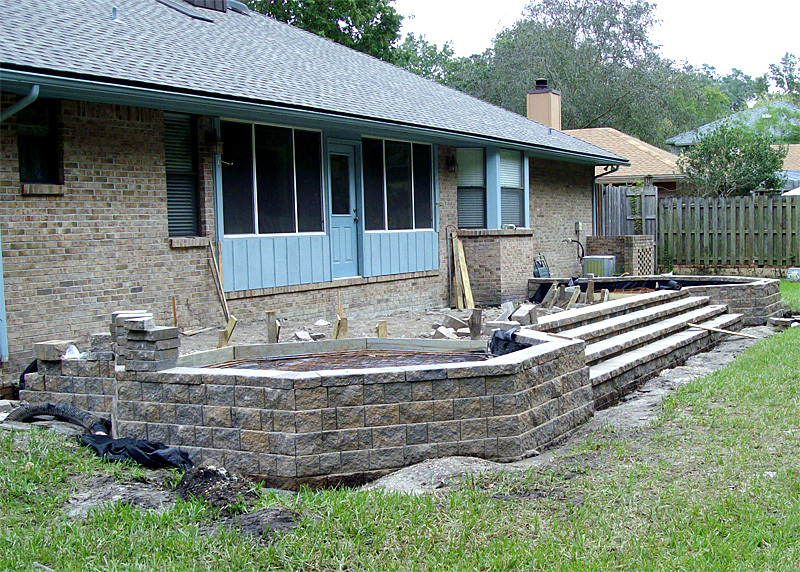 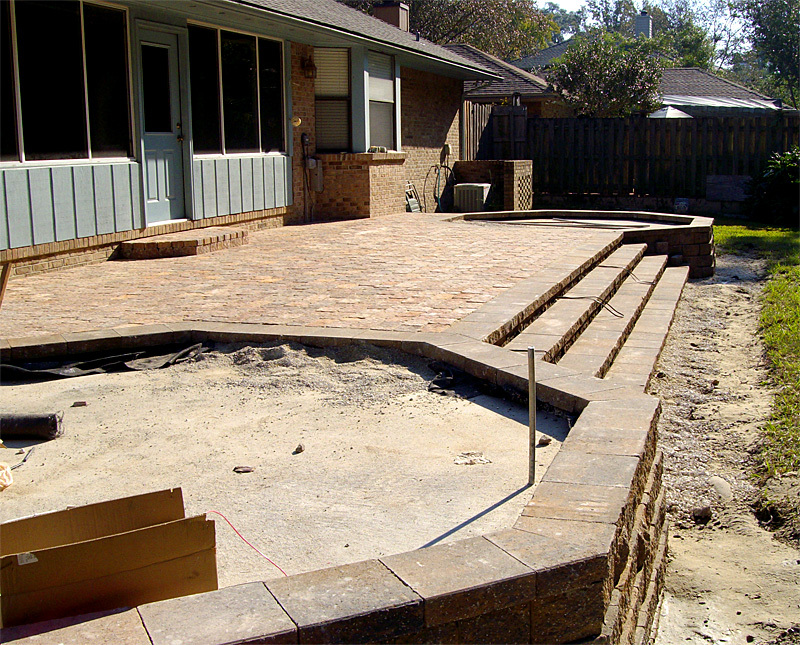 Patio size is approximately 650 square feet. 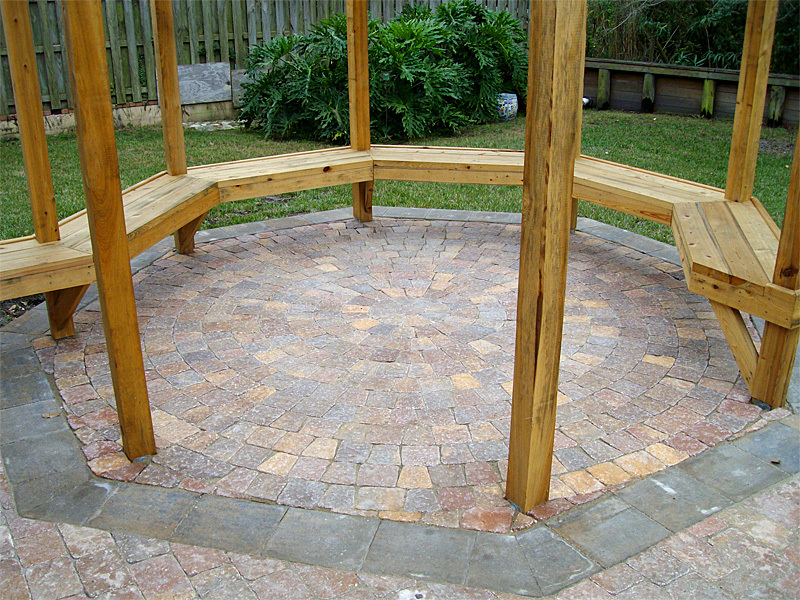 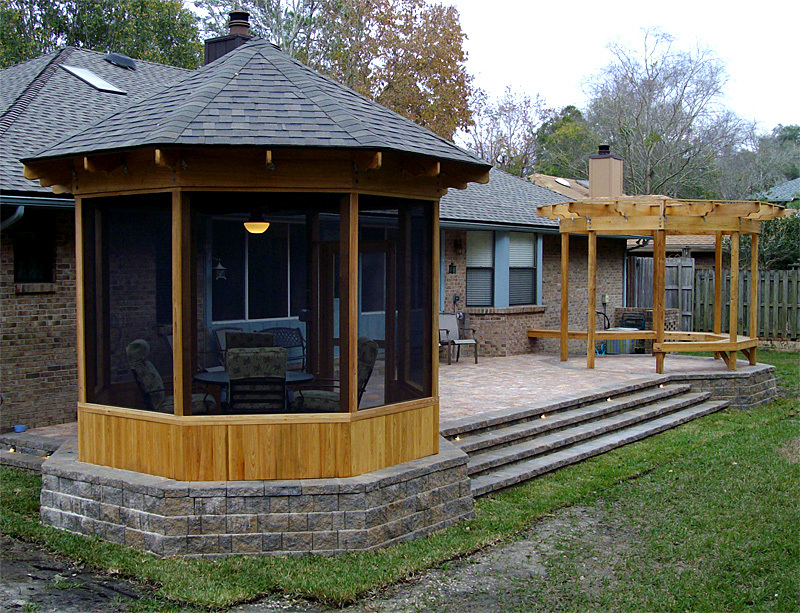 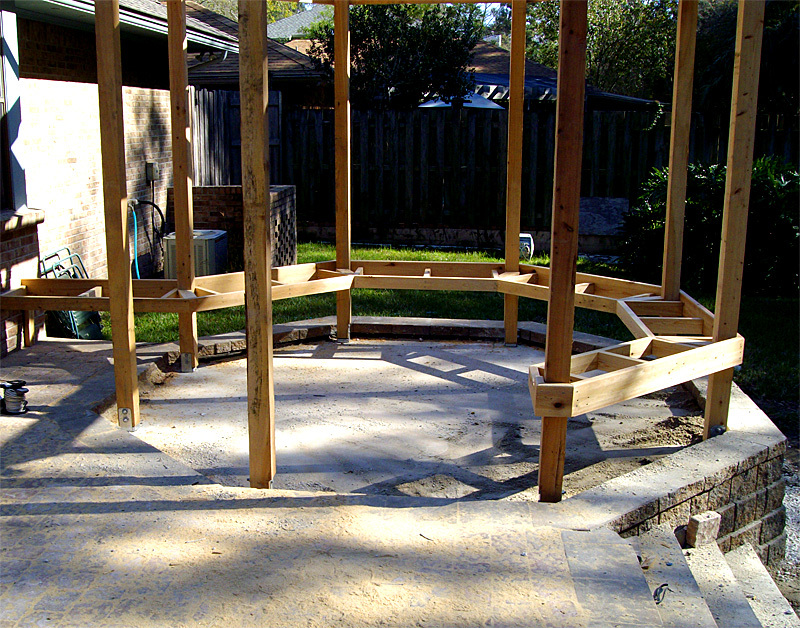 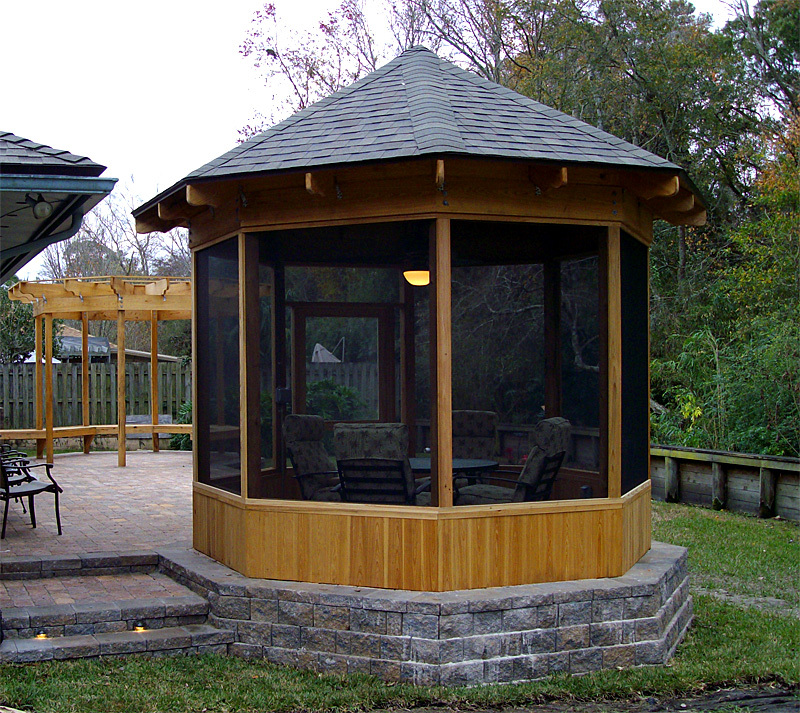 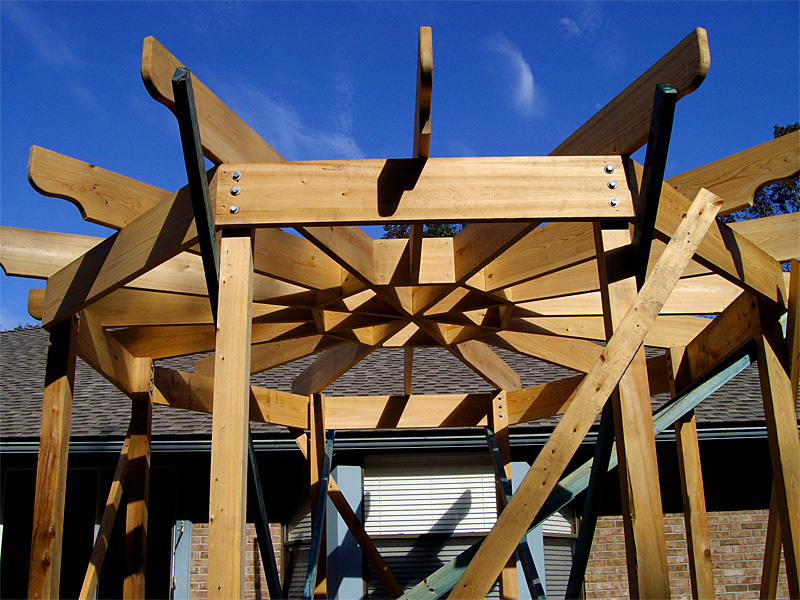 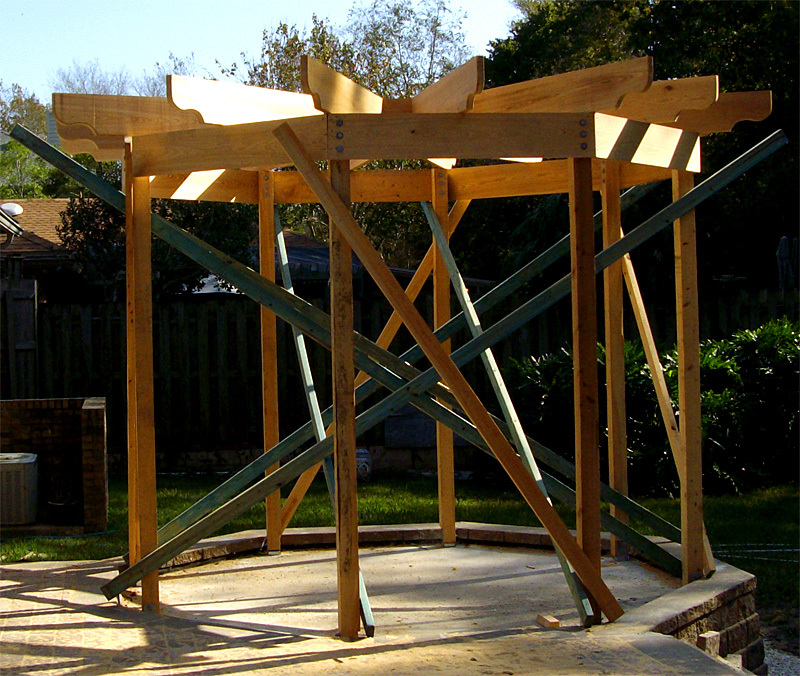 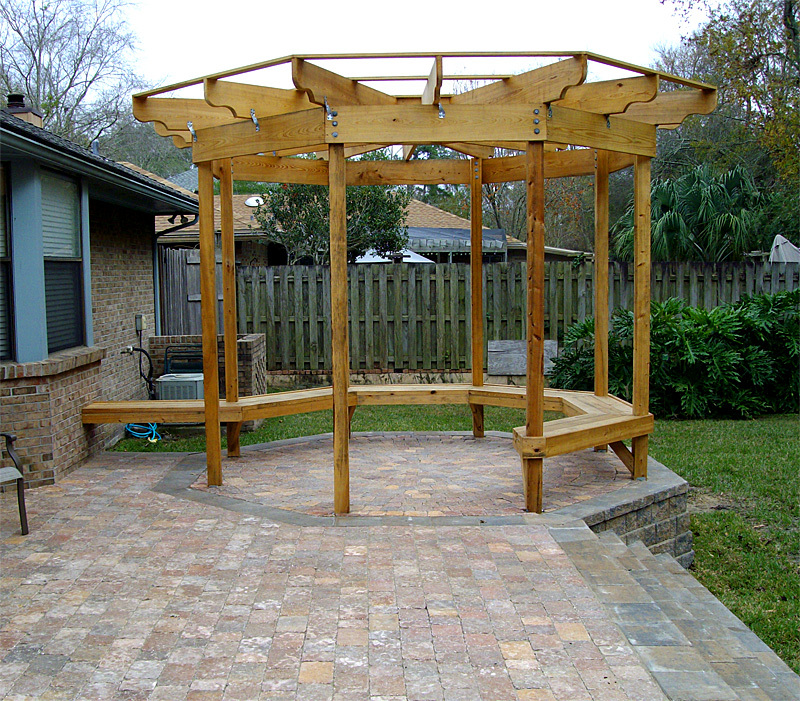 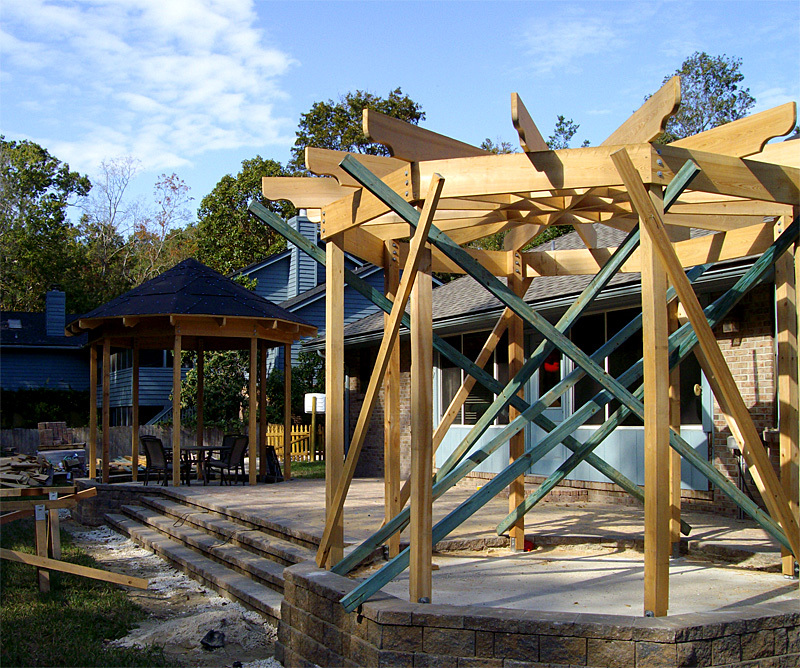 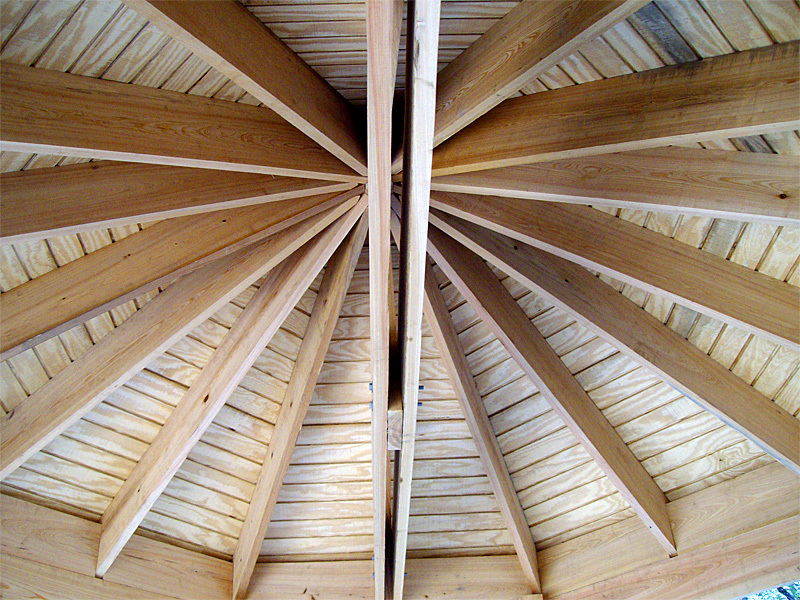 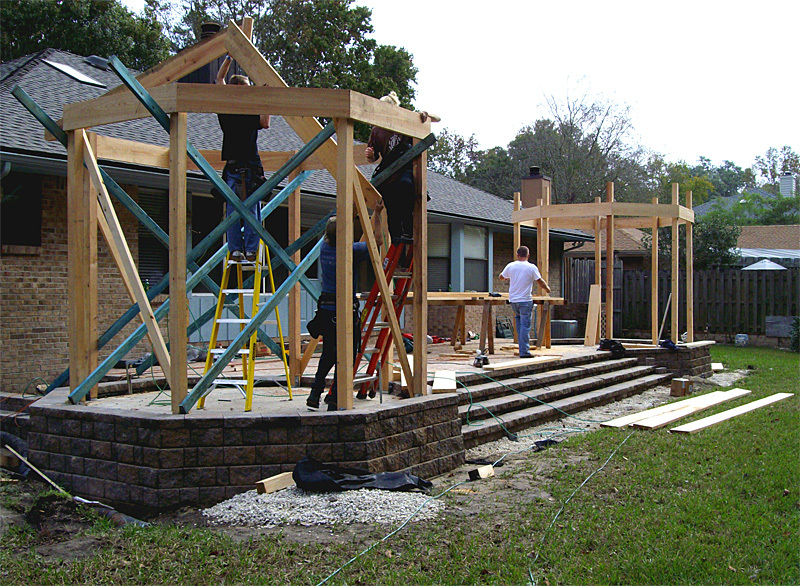 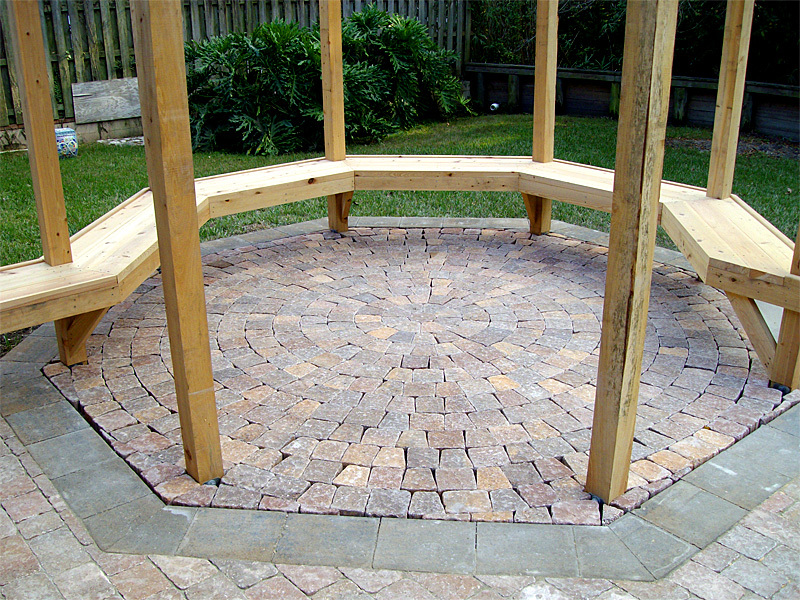 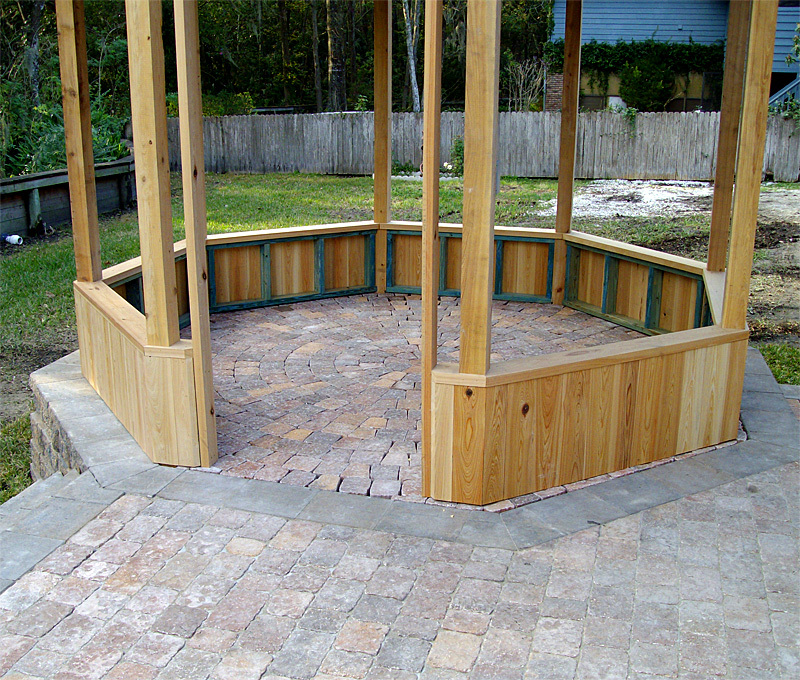 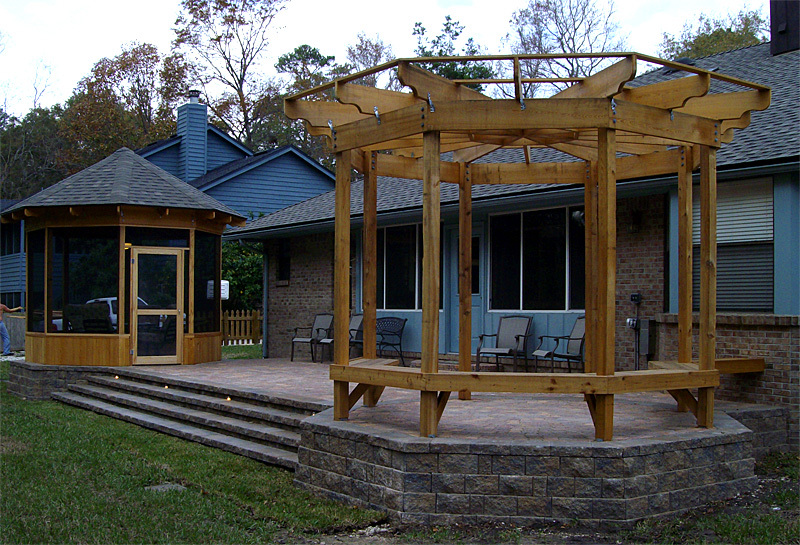 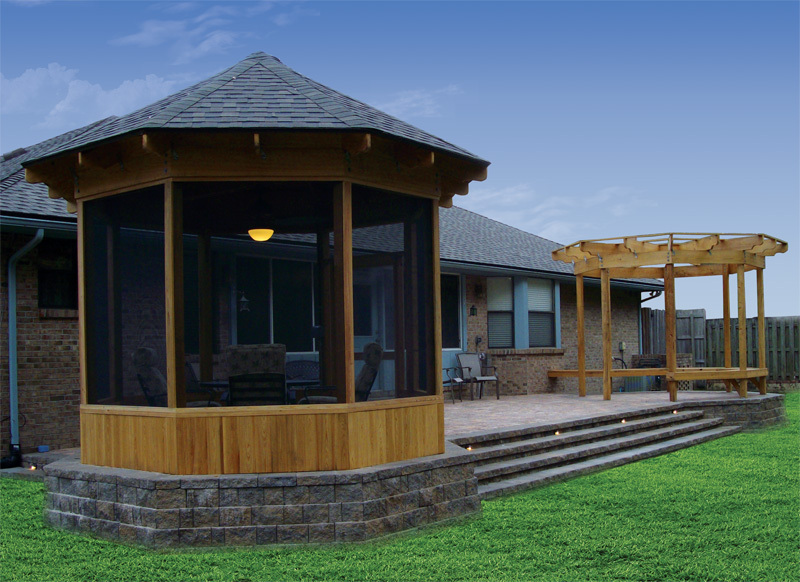 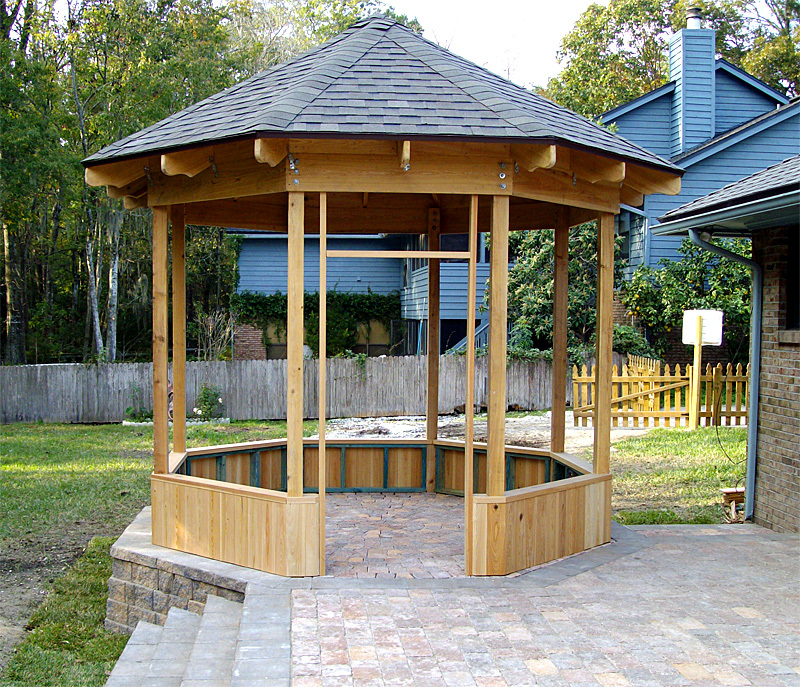 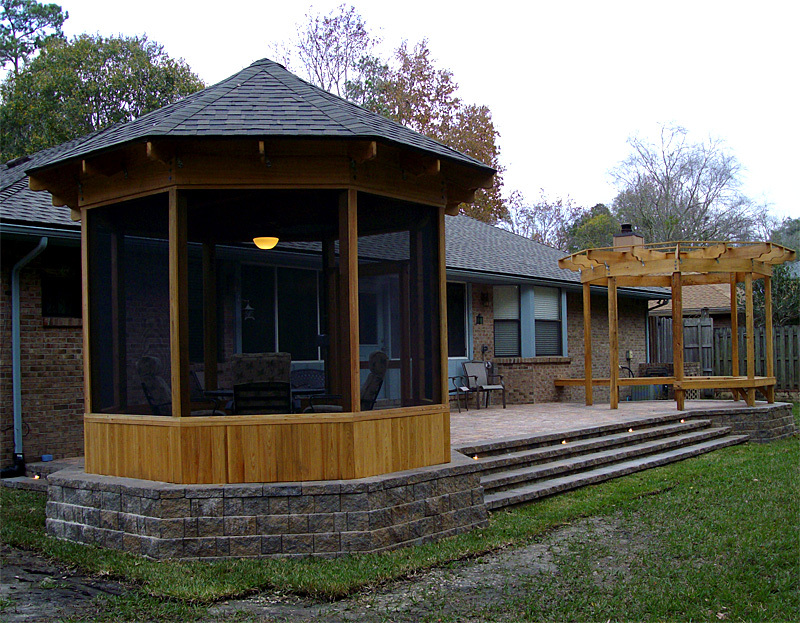 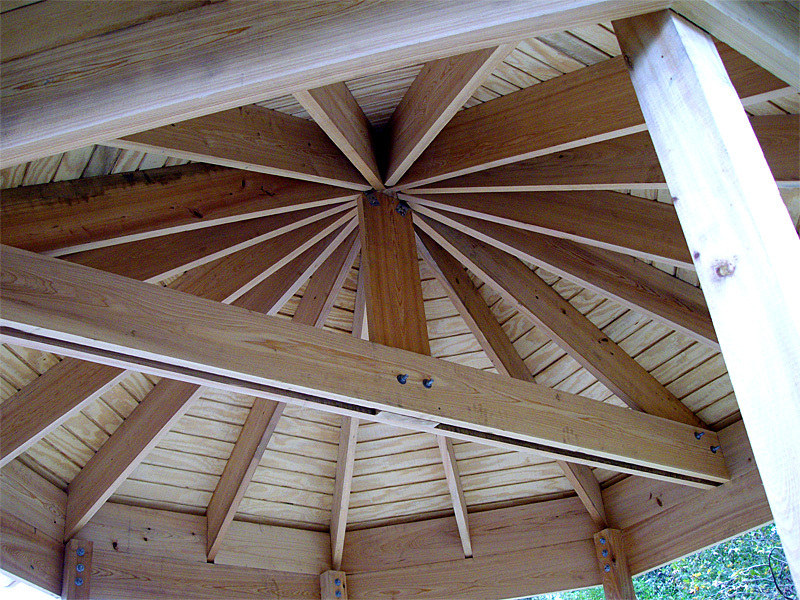 Both the gazebo and the pergola were constructed from cypress wood with a 7 foot radius brick paver circle kit installed. 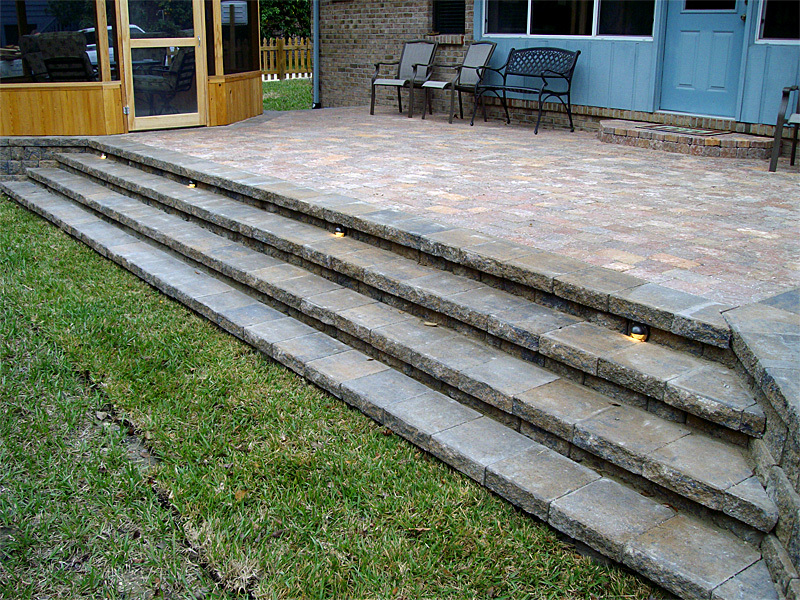 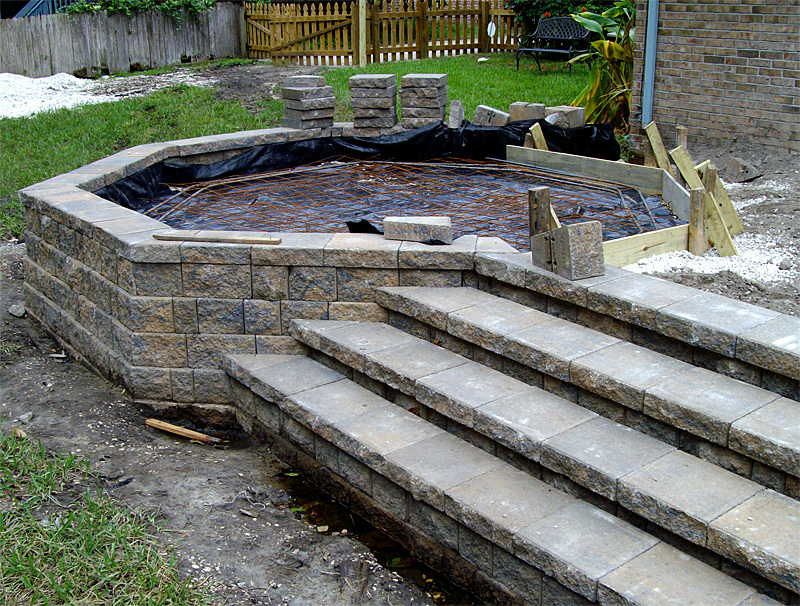 Custom landscape lighting was installed in the steps to provide an elegant accent during the evening hours. 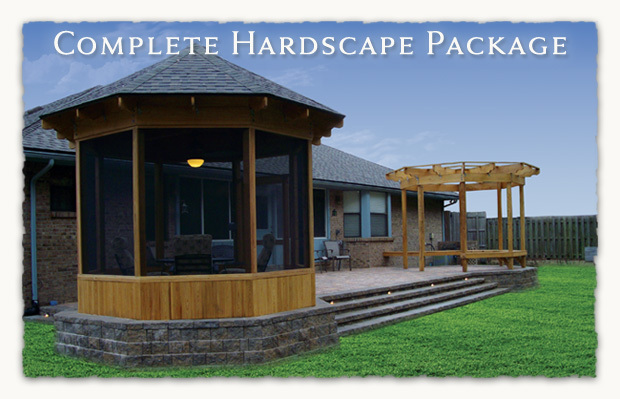 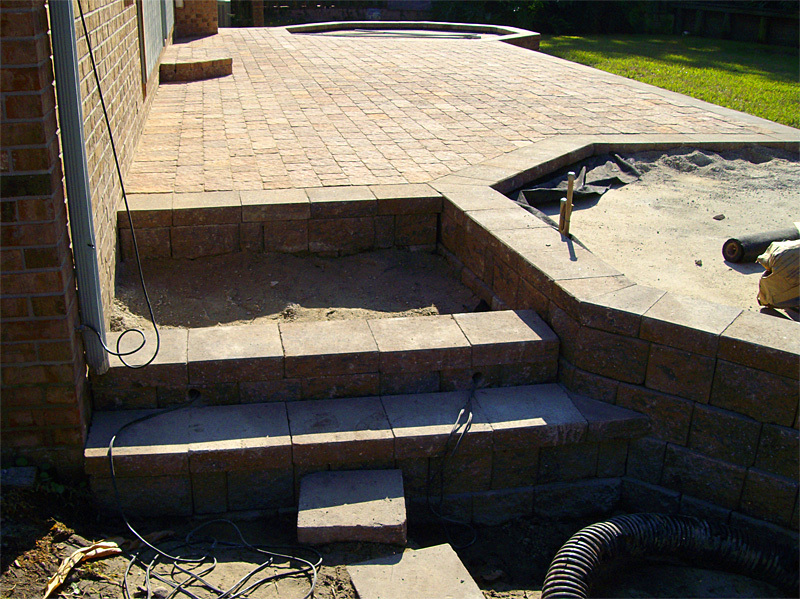 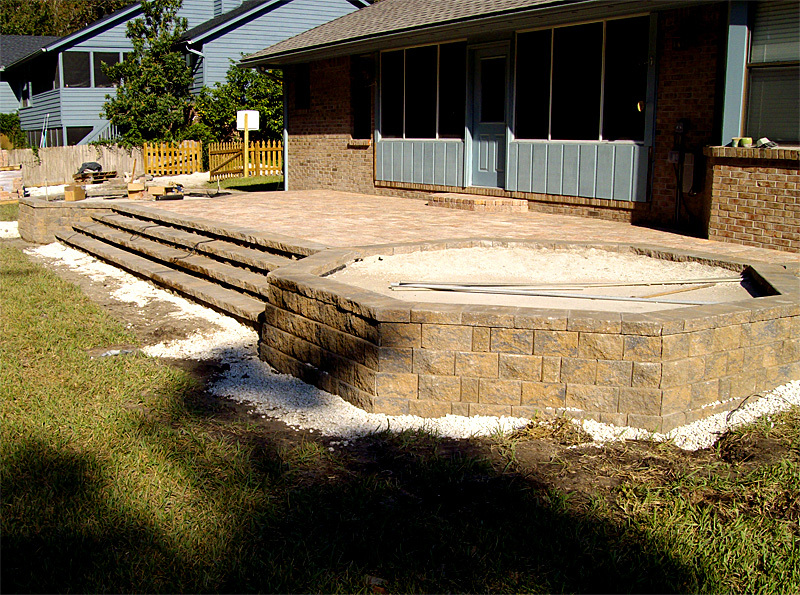 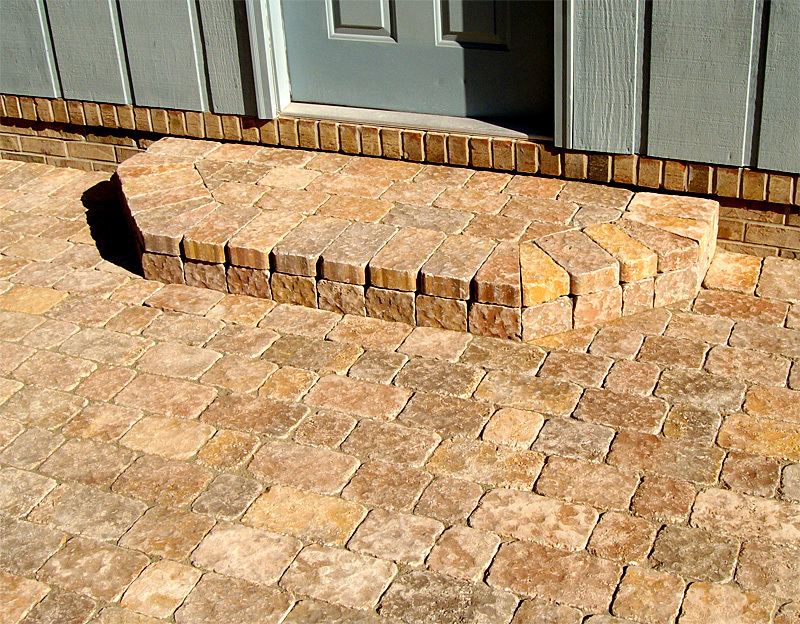 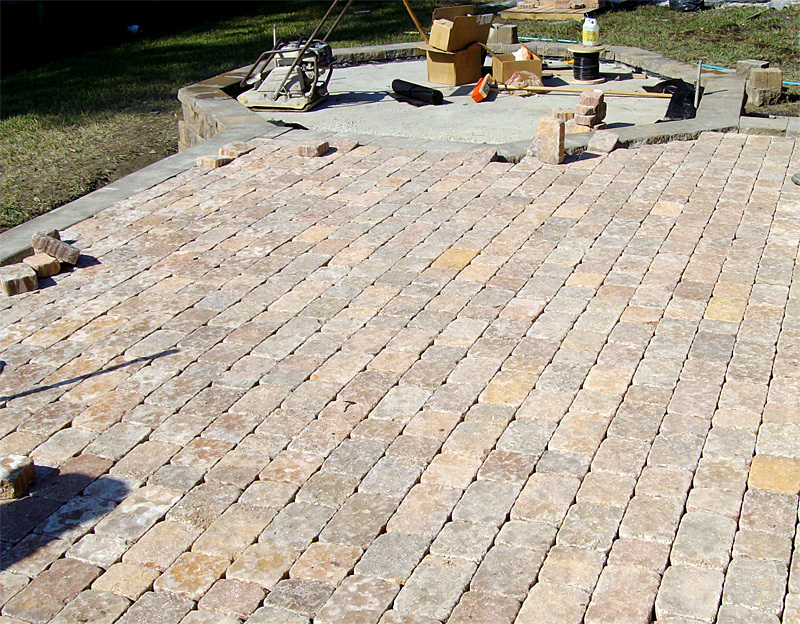 The complete hardscape package was installed as a replacement for the pre-existing wood decking.